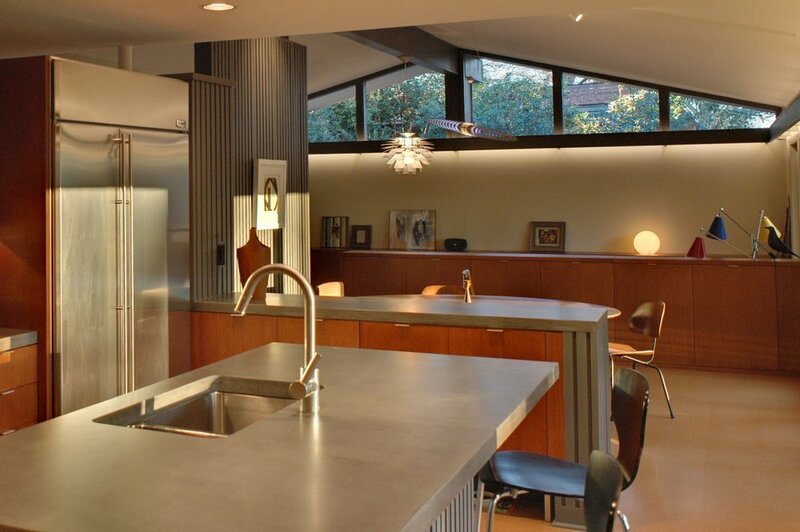 Built in 1961, this single story residence was originally designed by renowned Memphis architect Francis Gassner. 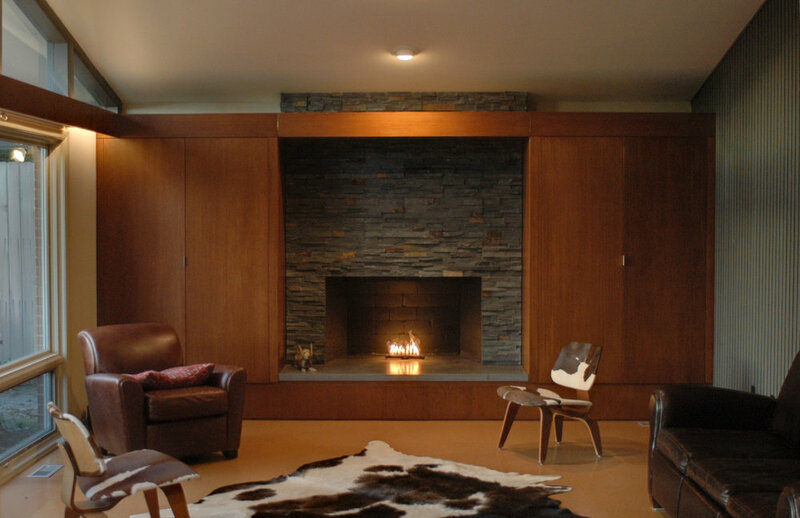 Its mid-century modern style is defined by the linear plan organized around an entry courtyard, vaulted roof plane with upper gable fenestration, deep overhangs, expressive structure, cove lighting, and interior tambour paneling. Repeatedly decorated over the years, the house had lost its original clarity. 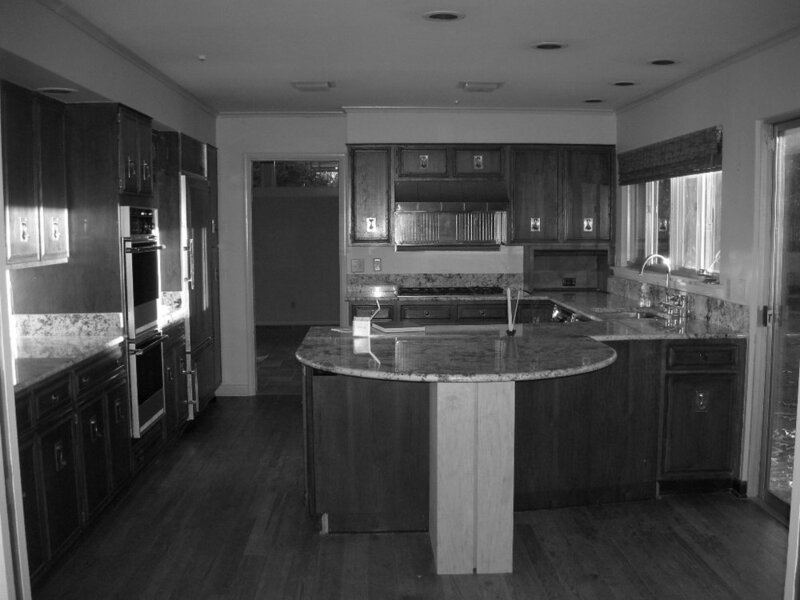 The client acquired the house in 2008 with a vision to update and restore it to its original character and spirit. The ensuing renovation began. The existing kitchen was removed from the exterior wall, floated beneath the ceiling plane, and opened up to the main living areas. Circulation was placed along the entire length of the exterior wall from the media room, past the Kitchen/Dining, and to the Living area. This move created an axis which visually connects the length of the structure, expands the ceiling plane, and offers a sense of spatial movement. 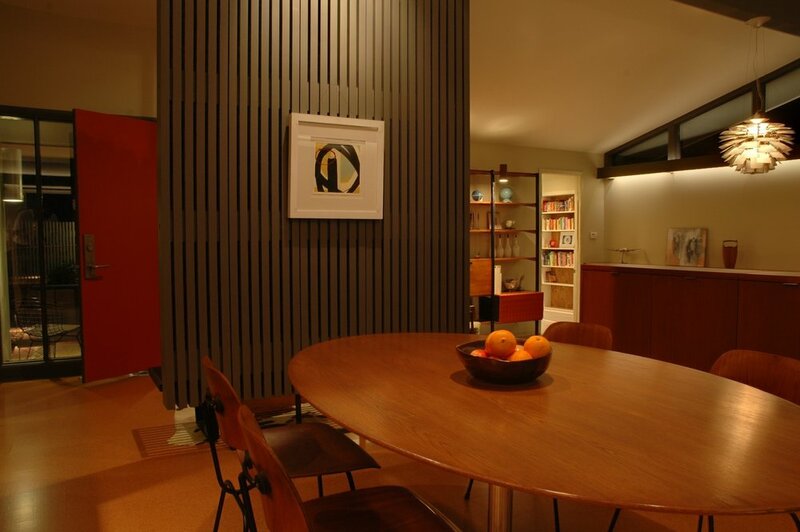 The existing tambour wall paneling was repeated from the Media Room throughout the house defining the kitchen enclosure, creating a foyer screen, and unifying the spatial elements. A light well was inserted in the bend of the long narrow hallway drawing movement through the bedroom wing. Fenestration was enlarged in the bedrooms to allow greater indoor/outdoor relationships and to expand the views into the courtyard and the rear patio areas. The exterior has been updated with a new paint scheme, a new courtyard screen wall (reinterpreted from the original design), and landscape.